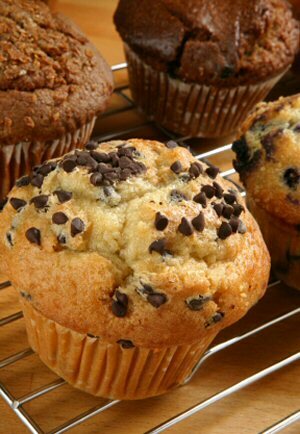 Chocolate Chip Muffins are a tasty and easy way to start any morning off right! A simple muffin batter is combined with sweet, chocolate chips and baked until golden brown. 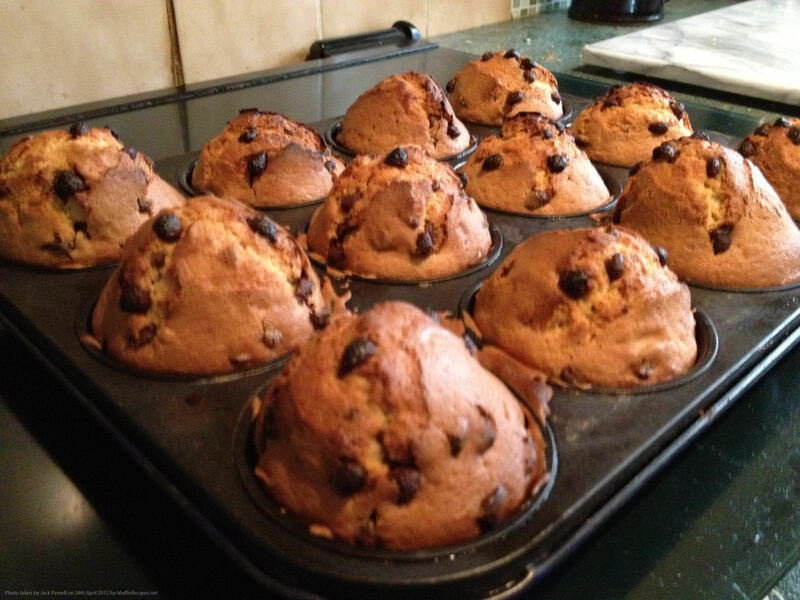 While they only take minutes to prepare, these Chocolate Chip Muffins are amazingly delicious. Make a batch and watch how quickly kids and adults alike gobble them up. 1. Preheat oven to 400 degrees F. Butter muffin pan and set aside. 2. In large bowl combine butter and vanilla using a hand mixer until light and fluffy. 3. Slowly beat in eggs, until combined. Slowly add sugar, until completely combined. 4. In small bowl combine baking powder, salt, milk, and flour. Slowly mix into butter until just combined, but still lumpy. Add chocolate chips and combine. 5. Pour mixture into muffin pans, filling each cup two-thirds full. 6. 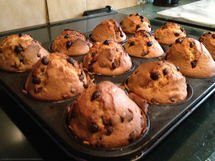 Bake for 25 minutes or until muffins turn golden brown, and a toothpick inserted into center of muffin comes out clean.